Personalized service, design, and craftsmanship. We are a team of designers and craftsmen who create custom cabinets and woodwork for kitchens, bathrooms, bars, libraries and entertainment spaces. At JSB Design & Manufacturing, Inc., we have the knowledge, experience, and creativity to design the perfect space for your home. We work with you throughout the design process in order to create a space that is a harmonious extension of your home. Our Denver, Colorado design studio and in-house workshop allow us to build the most custom projects with ease. Our services include 3D CAD layout and design, custom manufacturing, job site delivery, and full-service installation. We have been serving the Denver, Cherry Creek, Cherry Hills, Boulder communities since 1988. 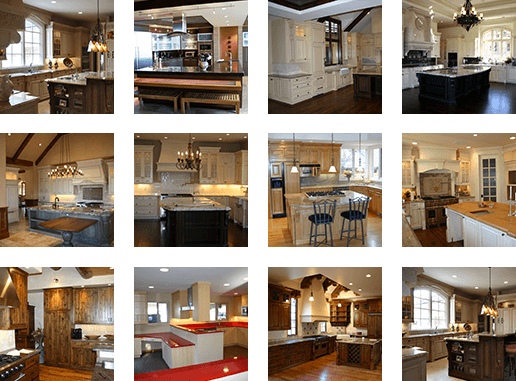 For examples of our past projects, select any of the galleries below – to start your own project, call (303) 295-6613. Entertain guests and feel at peace in a kitchen that’s designed around you. Improve your morning routine with a custom bathroom makeover. Liven up your living room with custom bookshelves and media centers. Design a wet bar or wine cellar where everyone will know your name. Feel productive and accomplished in your custom home office. Create a library or reading room that is deserving of your book collection. Unique idea or special request? Our design team can accomplish the task. Incorporate a hidden compartment, add a carved relief, or refinish an old piece.